B-boy Santa is back on the scene! He&apos;s been spotted showing off mad skills in the streets of Asheville, and he&apos;s got more to offer than sweet windmills and backspins. Looking for a fresher, doper getaway for the holiday season? 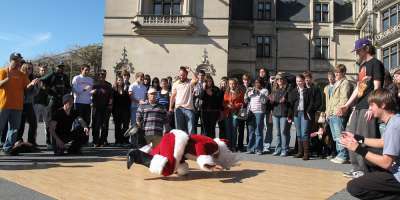 Pack your break-dancing moves and follow in the (dance) steps of Asheville&apos;s very own Bboy Santa. A visit to Asheville is Santa&apos;s favorite way to unwind before and after the busy holidays, and a weekend away may be just what you and your crew need, too. Opening Moves: Make the Visitor Center your first stop. 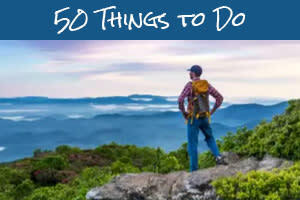 Pick up a map, book a room and check out all the great things there are to do in Asheville. 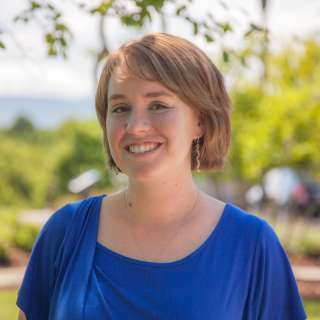 Street Style: From the Visitor Center, hop on one of Asheville&apos;s trolley tours for a guided tour of downtown Asheville and its historic districts. Be sure to stop at Pack Square Park and take in the sights and sounds of downtown, including street performers, funky boutiques and the Urban Trail. Put Your Dancin&apos; Feet Up: Grab an evening drink at the Great Hall Bar at the Grove Park Inn Resort & Spa and get cozy in front of one of their 15-foot stone fireplaces. Fancy Footwork at Biltmore: Dance on over to America&apos;s Largest Home, which celebrates its birthday on Christmas Eve each year. The Biltmore has 250 rooms, 57 decorated Christmas trees, 16 chimneys and 65 fireplaces-that&apos;s quite a workout and a lot of stockings! Beer City Sippin&apos; Santa-Style: Enjoy a festive evening in downtown Asheville and kick back like Santa-with one of "BeerCity USA&apos;s" signature craft brews. Or go on a microbrewery tour with the Asheville Brews Cruise! Follow Santa&apos;s lead and check out the Lexington Avenue Brewery for a delicious dinner, or try one of Asheville&apos;s 250+ independent restaurants. Rockin&apos; Around the Christmas Tree: Those looking for some music to go with their dance moves will enjoy catching a show at the Orange Peel, named one of the "Top Five Rock Clubs in the Country" by Rolling Stone magazine. 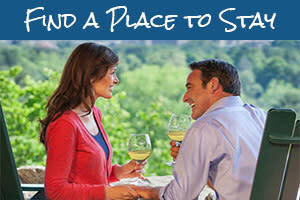 Moves with a View: Welcome the day by taking in Asheville&apos;s mountain vistas. Take a sunrise drive on the Blue Ridge Parkway, go for an invigorating hike in Bent Creek Forest and wrap up with lunch at Santa&apos;s own choice, the Sunset Terrace at The Omni Grove Park Inn. Remix Your Relaxation: Your muscles are likely to be sore after dancing all over Asheville, so soothe them with a Gingerbread Indulgence Wrap at the Spa at The Omni Grove Park Inn, ranked 13th best spa worldwide.